Ghosn wants Nissan to be compensated if UK-built cars exported to the EU face tariffs. PARIS – Nissan wants Britain to pledge compensation for any tax barriers resulting from its decision to leave the European Union, or the Japanese automaker could scrap a potential new investment in the country's biggest car plant, CEO Carlos Ghosn said. Ghosn's remarks indicate growing concern among global carmakers that Britain could be heading toward a so-called 'hard Brexit,' which would leave them paying tariffs to export UK-assembled cars to EU markets. Nissan, which builds around a third of Britain's total car output at its plant in Sunderland, northeast England, is due to decide early next year on where to build its next Qashqai SUV. "If I need to make an investment in the next few months and I can't wait until the end of Brexit, then I have to make a deal with the UK government," Ghosn told reporters at the auto show here. "You can have commitments of compensation in case you have something negative," he said. "If there are tax barriers being established on cars, you have to have a commitment for carmakers who export to Europe that there is some kind of compensation." Nissan builds the current Qashqai, Europe's best-selling compact SUV, in Sunderland, along with other models including the Nissan Leaf and Infiniti Q30, according to the Automotive News Europe plant assembly map. 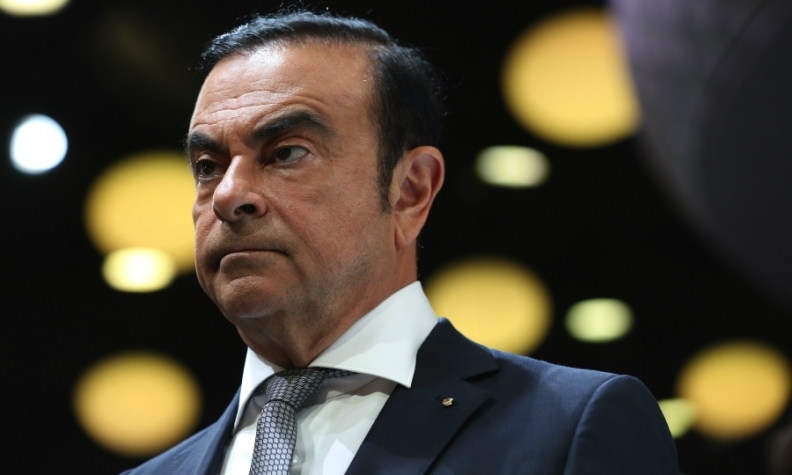 Ghosn's ultimatum echoes concerns from fellow Japanese carmaker Toyota which said the imposition of duties as part of a Brexit deal would make running its English plant "very, very tough." Around 814,000 people in Britain depend of on the country's overwhelmingly foreign-owned car industry for jobs, according to the Society of Motor Manufacturers and Traders industry body. Prime Minister Theresa May's government has tried to reassure major manufacturers that Britain is open for business and that it will take their views into account during the country's negotiations on new trade relations with the EU. "The UK government ... is talking with all the investors in the UK and saying: 'OK, where are you concerned? What kind of problems do you have? What would make you stay?' And we've been very clear," Ghosn said. "They will take this into consideration, build a policy, and as a function of this policy we will make a decision." Britain is expected to trigger formal divorce talks from the EU early next year, with negotiations expected to last two years. It is unclear whether it will have full access to EU markets when it leaves. The British government says it will get the right deal but some businesses, especially those that export most of their finished products to the continent, are worried they may have to pay tariffs to sell goods into EU markets once Britain leaves. Toyota's executive vice president told Reuters on Thursday it would be tough for its UK plant if Britain failed to achieve an unfettered free trade deal with fellow European nations. "The challenge for all of us in the UK is to stay competitive because 85 percent of our production from the UK plant is exported to continental Europe," Didier Leroy said. "If 85 percent has to pay trade duties it will be very, very tough but we want to stay committed to the UK business and our factory in the UK," he said. Skoda CEO Bernhard Maier said it was important for Britain to bring clarity as quickly as possible. "For us it would be very helpful if it were not to become a nail-biter but rather if there were to be concrete decisions that one can really adjust to," he told Reuters. Japan this month published a list of requests to Britain and the EU over Brexit, including maintaining the current duty-free trade between Britain and the EU and preventing any additional customs clearance burden on trade.